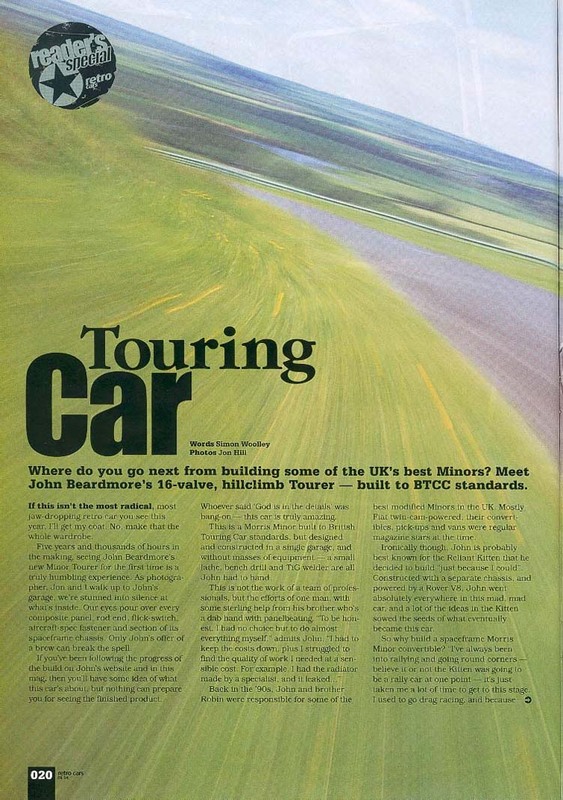 This feature appeared in the August 2004 issue of Retro Cars. I think it was the biggest feature they have done on a single car. Also in the same issue was a double page poster and another article on the car setting up the suspension with laser alignment. Click on a thumbnail to see the image in full size.